A Theology of the Beard…? To beard, or not to beard? This has become a popular question. And it would seem that many men are choosing to let their beards grow. You might notice the style experts reporting on the dominance of beards in popular culture over the clean-shaven perfectly smooth face. Not too long ago a campaign for Gillette starred three cultural icons sporting facial hair – yes, remaining facial hair in a razor commercial. Why? Because the beard is a phenomenon. 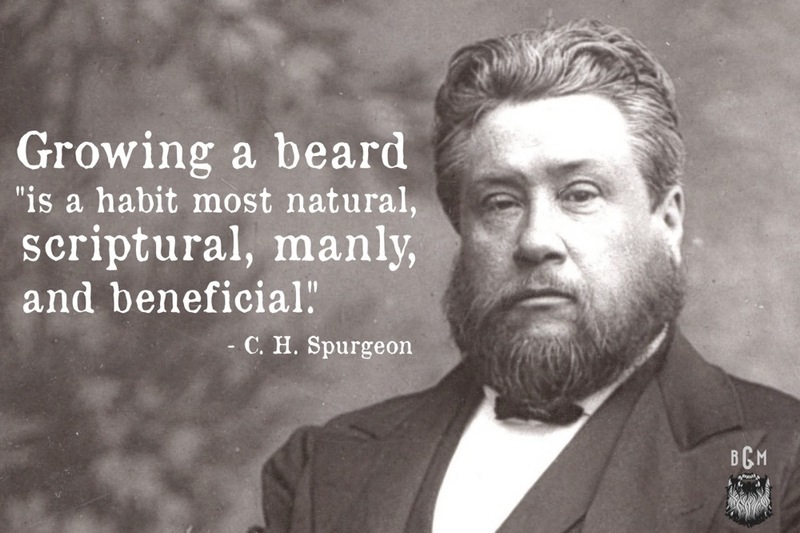 And the beard phenomenon is not only growing in popular culture but also in Christian culture. For the Israelites in the Old Testament the beard was never to be shaved, only trimmed (Lev. 19:27; 21:5). The only time a beard was to be shaved was in the circumstance of an infectious disease (Lev. 14:9). As a sign of lament, men in mourning would often shave or even pull out their beards (Ezra 9:3; Is. 15:2; Jer. 41:5, 48:37). The prophet Ezekiel was instructed by God to shave his beard as a sign of desecration and shame, pointing to the coming destruction on Jerusalem (Ezek. 5:1). Since the beard was a symbol of masculinity in ancient culture it was a grave insult to damage someone’s beard. Once on a mission, David’s men suffered grave humiliation when their beards were half shaved by the Ammonites. They didn’t return to Jerusalem until their beards had grown back (2 Sam. 10:4-5). Isaiah depicts the pulling out of a man’s beard as emasculative and shameful (Is. 7:20, 50:6). The Dictionary of Biblical Imagery, 80. Augustine, The City of God, Book 22, Chapter 24. C. H. Spurgeon, Lectures to My Students, Lecture 8. I couldn’t help myself… for all my fellow facial hair cultivators, this is for you. This is the something I have been wanting to write for quite some time!! Thanks for doing a sterling job of it. I especially appreciate your bringing the conversation beyond simple cultural observation by asking whether the adoption of this facial hair focus in Christian circles is a sub-conscious or, perhaps for some, intentional call to reexamine the biblical distinction between male and female. You also certainly ended the article in a humorous, yet thoughtful and tactful manner. Well done Matt. Pingback: A Theology of the Beard | First Among Sinners.